We are in the Age of Renovation in golf course architecture. So the title of this piece—choosing only five public courses in need of work—is highly subjective and ripe for debate. (Let the games begin in the comments section!) 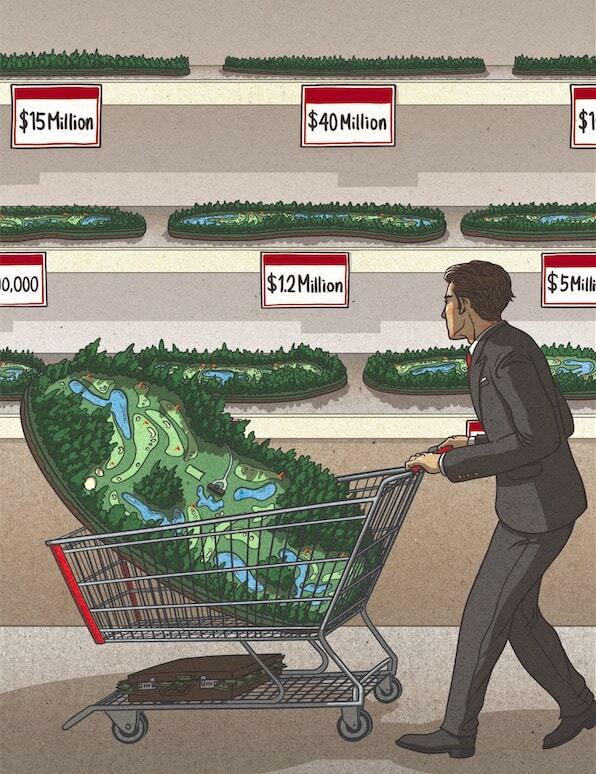 But we can all agree that many municipal and public courses would benefit from some love, and for good reason. “What happens is they have a budget problem and they cut the libraries and the parks and recreation,” course designer Robert Trent Jones Jr. explained to me. The purpose of a renovation is to recapture the authenticity of the original design. These five courses I’ve highlighted are jewels of a golden age that could use a nip here, a tuck there, and deserve to be treated as the treasures that they are. Sharp Park, San Francisco, Calif.
For nearly a decade now, Sharp Park, an Alister MacKenzie gem located 10 miles south of San Francisco, has been golf’s cause célèbre. 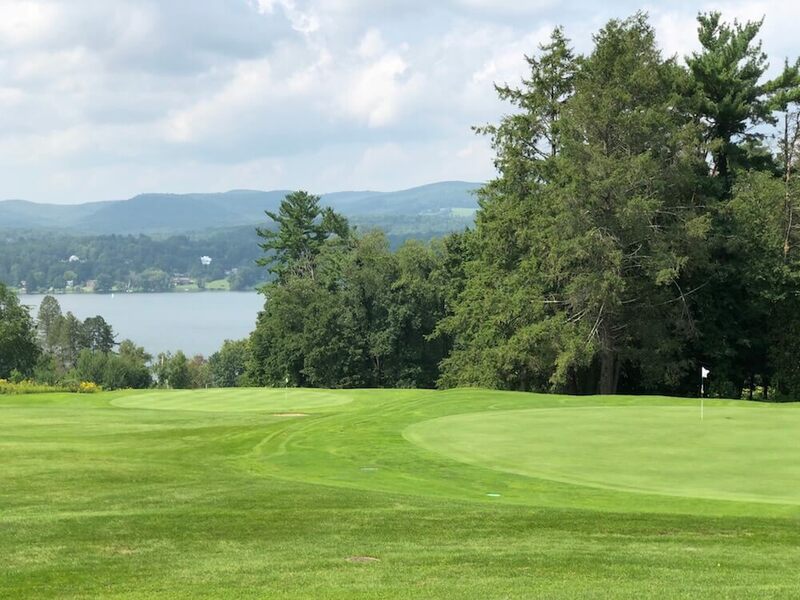 Thanks to widespread industry support, it has survived a 2011 lawsuit filed by a consortium of environmental groups calling on the federal government to close the golf course. Architect Tom Doak (pictured below) has drafted plans to restore several of MacKenzie’s signature flourishes. First on the docket is the restoration work on four greens. Bo Links, a San Francisco lawyer, golf writer, historian and co-founder of San Francisco Public Golf Alliance, says Doak is working off the original 1931 irrigation map that shows the precise dimensions of the original MacKenzie greens. 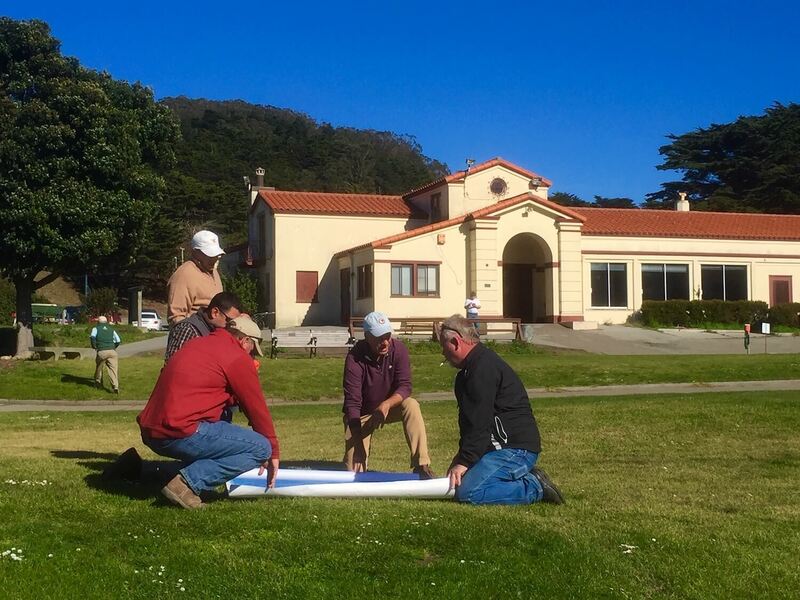 The group is in the process of finalizing a comprehensive plan to restore all tees, greens and bunkers, install a new irrigation system, much needed tree removal, and related touches that will enable Sharp Park to live on for generations. 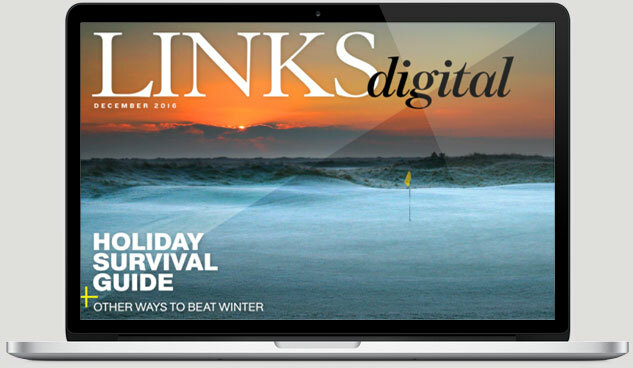 “Bringing back MacKenzie’s vision while keeping the place affordable and accessible, that’s our Holy Grail,” Links told NCGA Golf Magazine late last year. Palmer Park Golf Course, Detroit, Mich. In Detroit, Donald Ross’s Rackham Golf Course is older—circa 1925—than Palmer Park Golf Course (1927) and has a better pedigree, but Rackham already underwent a substantial renovation to accommodate I-696 in the early 1980s, which would make it hard to restore much of Ross’s original intent. The greater potential in Detroit is at Palmer Park Golf Course, where the course could be essentially blown up, allowing a designer to take a blank canvas in the city’s downtown amid a Frederick Law Olmsted designed park and build a facility capable of saving public golf in Motown. Since opening in 1927, Palmer Park Golf Course has been home turf for music legends including Marvin Gaye, The Temptations and The Four Tops as well as the city’s patron saint of sports, heavyweight boxing champ Joe Louis. But it became the most-economically challenged of Detroit’s four municipal facilities and has fallen into disrepair and never opened this year. It is Exhibit A for the type of neglect that is too often allowed to happen to municipal courses, and its closure is a shame. Brandon Johnson, a vice president at Arnold Palmer Design, has sketched out plans to reinvigorate it, which includes a six-hole reversible course and a Himalayas-style putting course. The concept is to transform the course into a golf learning center with a double-deck range, a short course and additional golf training/practice elements, all on the existing front nine. The back nine could also be retained as a separate nine-hole golf course. “It doesn’t have to cost an arm and a leg,” Johnson said. The idea would be to use this facility for all sorts of “grow the game” initiatives and increase the number of golfers in Detroit. The new Palmer Park would become the permanent home of the First Tee in Detroit and even serve as a driving range for the nearby Detroit Golf Club, which doesn’t have a full range of its own. There is also a movement afoot to name the facility the Joe Louis Golf Course at Palmer Park. With the PGA Tour’s Quicken Loans National moving to Motown in July, let’s hope some of the charitable dollars raised for the golf tournament are designated to help make this plan a reality. 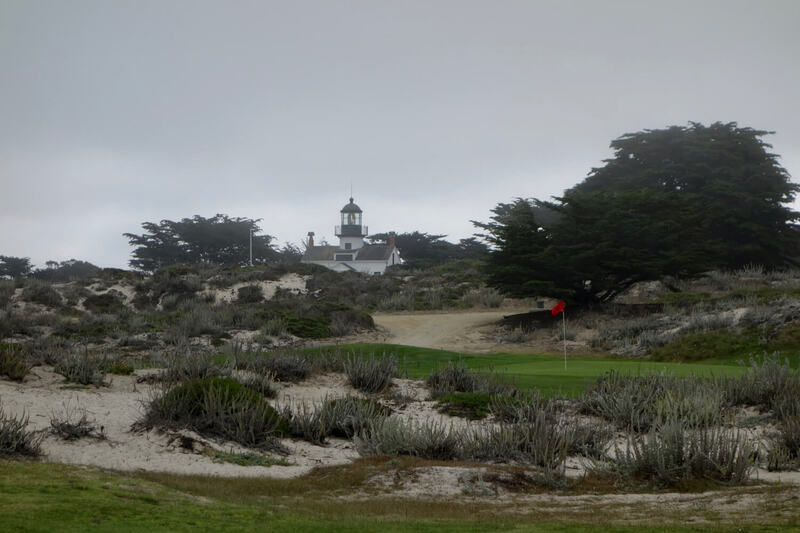 At a tenth of Pebble Beach’s $525 (including cart) green fee, PG as the locals call it, has earned the nickname “the poor man’s Pebble Beach,” and stands as a shorter, tighter layout than its better-known neighbor with scenic views of Monterey Bay and a close-up of historic Point Pinos Lighthouse. What can be done to remake the Pacific Grove experience? It doesn’t need much and ambitious plans likely would be constrained by environmental regulations and lack of land to stretch it beyond its current bantamweight-length of 5,727 yards from the tips. Some work has already been done with environmental habitat restoration of sand dunes and the removal of ice plant. What still needs to be eradicated is kikuyu grass dotting the property so that the course would play more like a traditional Scottish links. And since the city has invested in a recycled-water plant adjacent to the 14th hole, the fairways have been overwatered, especially on the front nine. 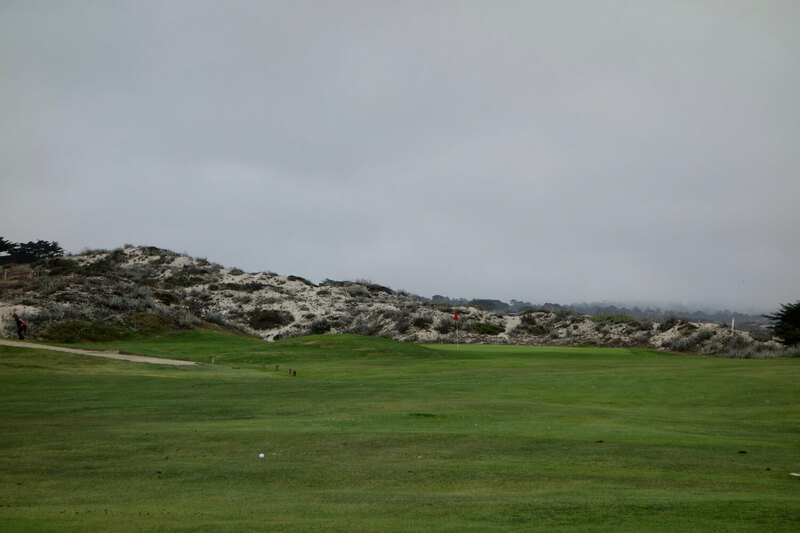 To add a little spice, the course could reintroduce the sand dune between tee and green on the par-three 10th—as it was in the 1960s—and improve the tee box on the 11th so that golfers are backed up to Asilomar Boulevard, or negotiate with NOAA Fisheries to take a corner of that now federal surplus property to lengthen No. 10 and make the 11th a dogleg left playing downhill to an elevated green surrounded by sand dunes. The 11th also could be made more treacherous by creating a lake at the bottom of the sloping fairway (to retain recycled water) and to give golfers a choice of trying to drive the green or lay up. The possibilities at No. 12, hard by the bay and considered the showcase hole of the golf course, are enticing. It could be toughened by reinstituting the original tee box, long-covered by sand dune, so that the drive would be more challenging for longer hitters, and create a double dogleg par-5. In short, harden the fairways, remove some unnecessary bunkers to make it fun again for golfers and bring back some of its former character and PG will shine even brighter. Palatka Golf Club, Palatka, Fla.
Palatka Golf Club in northeast Florida is one of the nation’s many municipal layouts struggling to make ends meet. This Donald Ross design, originally sketched out in 1925, has been described as “a little old pig trail in the middle of nowhere,” but for residents of Putnam County it’s a longtime social hub and home to the best cheeseburger around. Golf course architect Bobby Weed watched another Ross design, the Ponce De Leon Resort and Country Club in nearby St. Augustine, close its doors in 2003, and refused to stand by and see a course of Palatka’s pedigree join it. From 2009-2016, he managed the layout, transforming out of play turf areas into sandy, scrubby waste areas and re-marking greens that had shrunk into smaller circles. Palatka Golf Club is a par 70 measuring 5,862 yards from the tips, the type of place where, when someone yells “Fore!” half the golfers on the course duck. That’s if the call can be heard over the roar of a passing train. 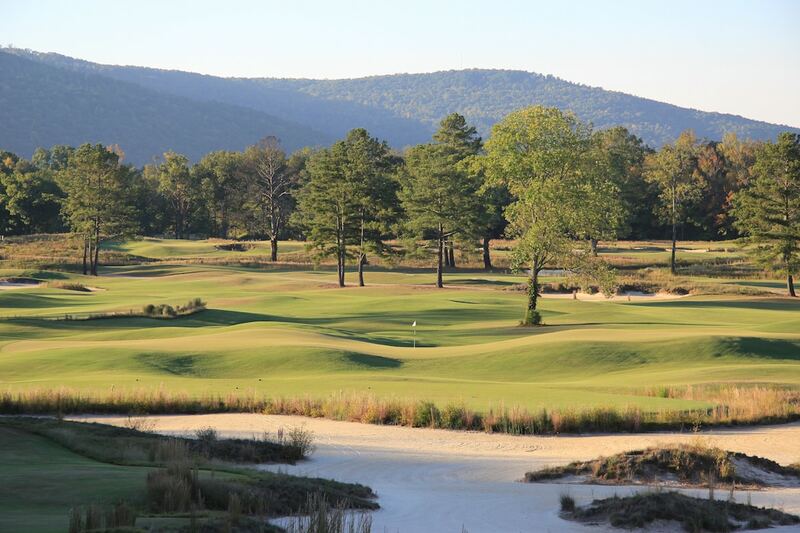 It’s a shotmaker’s course, with narrow fairways, tight doglegs and small, turtleback greens. Billy Tuten, who won the U.S. Amateur Public Links in 1982 and ’83, grew up here as did former touring pro Sean Pacetti, who holds the course record of 59. Palatka still plays host to the Florida Azalea Amateur. What would he do with a blank check to restore Palatka to its former glory? Weed said the course’s annual maintenance budget could use a boost. He’d create more native, sandy areas, re-grass the putting surfaces with a newer variety of grass, re-level tees and do some bunker work. “We need to preserve some of our classics,” Weed said. Hotchkiss School Golf Course, Salisbury, Conn.
Munis aren’t the only ones who cut corners in course maintenance. There aren’t much sadder words to golf architecture wonks than a Seth Raynor design with barely any Raynor left, but that’s the case at Hotchkiss School Golf Course, a nine-hole layout stretching 3,040 yards. “For years Hotchkiss has put the barest of effort into maintaining and preserving Raynor’s achievement,” wrote Anthony Pioppi in his book The Finest Nines, noting that there is no dedicated course superintendent. Putting surfaces have shrunk, bunkers have dwindled or been filled in, and holes re-routed for roadways or shortened to make way for the expansion of the campus have all combined to alter the layout. In the early 2000s, for instance, the fourth green was relocated to accommodate dorm construction (though Raynor historian George Bahto designed a new putting surface that received favorable reviews). The re-routing of the school’s main entrance decades ago also cost the course its original seventh green. Still, there are several template holes, including the third, an Alps-Punchbowl hole, and the par-3 eighth, an Eden hole modeled after the 11th at the Old Course at St. Andrews. What are some other public courses that need some renovation love? Tell us in the comments below!